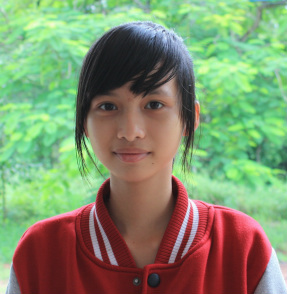 Thuy’s favorite color is pink, so her wish is to have colored pencils so she can paint her world her favorite hue. She has two pet goldfish, three younger sisters to care for, and loves to sing. Her wildest dream is to finish high school so she can learn the skills to help her mother manage her cake-baking business.